When you’re visiting Southern Maryland, whether it’s to take a day sail on Heron, our 60 foot schooner, or to partake of the fine wining and dining you can find in the Solomons Island locale, don’t forget that there are hidden art treasures waiting to be discovered. Creek Side Gallery, located in The Maryland Antiques Center, provides an eclectic display of art, including two dimensional fine art, photography, woodwork, gourd art, and jewelry. Most of the fine art represents scenes from the Southern Maryland and Chesapeake Bay farming and water communities. 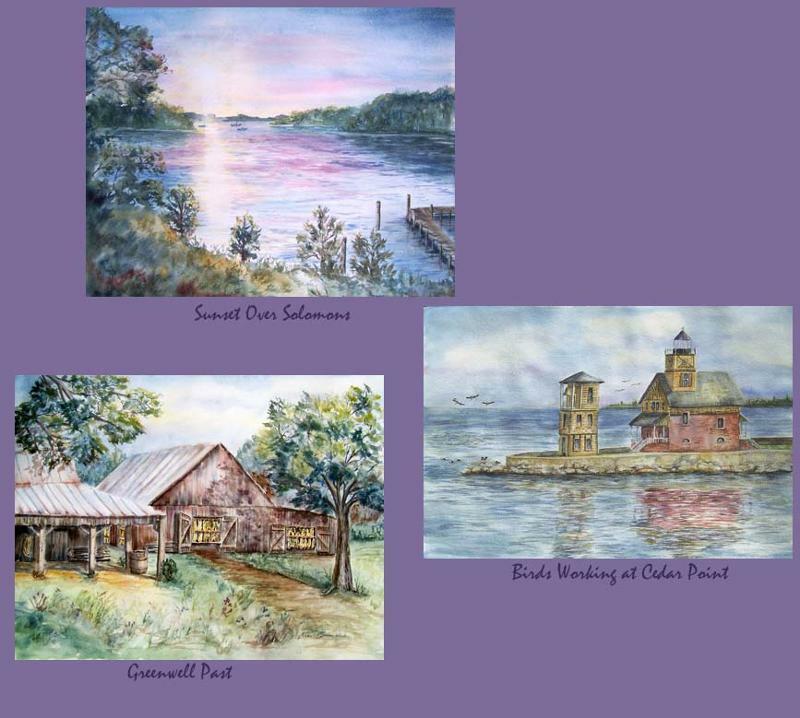 Creek Side Gallery takes pride in making a venue available for local artists and artisans to display their art by showcasing guest artists. Featured in a special “Local Treasures” show, local watercolor artist Sue Stevenson will have her fabulous works on display April 2, 2010 through May. There will be a reception on April 2, from 5 to 8 pm. Ms. Stevenson specializes in local barns, bayscapes, and landscapes. She also accepts commissions. The Creek Side Gallery is open 7 days a week, 10 am - 5 pm. Call: 301-475-1960. Schooner Heron Charters is ready to take you sailing!!! Our season starts April 16th, and springtime brings great temperatures and great winds. 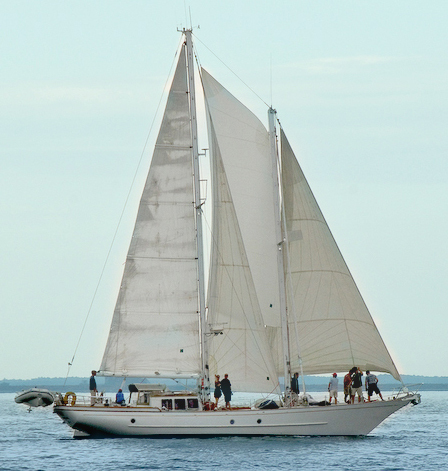 Our $390 offer, for a five hour sail for six people, out of Solomons Island, is unbeatable on the Chesapeake Bay. Get out on the water and throw your cares to the wind! Our local Department of Tourism hero, Joyce Baki, writes a column, ongoing, about activities and events in Calvert County. We’re privileged to be able to reproduce that column in the Schooner Heron Charters blog. If you want the latest information about interesting ways to spend your time in Southern Maryland, look here, or go to Joyce’s website: www.ecalvert.com and click on “Tourism.” She is happy to help one and all get the most out of their recreational visit to Southern Maryland. Spring is popping out all over! Crocuses are starting to bloom and you can actually smell the fresh scent of spring. We are moving from the dull browns and grays of winter to the colors of spring and there are many great events in Calvert County – it is time to get out of the house and enjoy life. Head down to Pepper’s Pet Pantry on Sunday, March 28, for a very special event sponsored by the Humane Society of Calvert County and St. Mary’s Animal Welfare League. “Black Tie/White Tails Event” will feature black and white canines and felines looking for a home. The event runs from noon to 3 p.m. Light refreshments will be provided for this free and fun event. Pepper’s Pet Pantry is located at 13858 Solomons Island Road, next to Solomons Vet and Patuxent Adventure Center. The store is full of wonderful items for your furry four-legged friends! For more information, visit www.humanesocietyofcalvertcounty.org or www.smawl.org. Learn more about Pepper’s Pet Pantry at www.pepperspetpantry.com. Get outdoors with the American Chestnut Land Trust on Saturday, March 27, for hiking trail maintenance and vine vindicator work day. From 9 a.m. to noon the group will work to improve the native plant species by identifying and removing non-native invasive plant species. Bring work gloves, loppers and clippers if you have them. Or help ACLT on Sunday, March 28, for Barn Work Day. Join the barn volunteer crew from 8 a.m. to noon as they maintain historic barns located throughout ACLT’s preserved property. To register, call 410-414-3400 or visit online at www.acltweb.org. Annmarie Garden and the United Way are teaming up with an afternoon of healthy and creative programs for all ages. On Sunday, March 28, visit the Garden Garden for “Sunday FunDay.” Take a walk, play with clay in the Ceramics Studio and enjoy other fun family-friendly programs. Annmarie Garden will offer free site admission from 1 p.m. to 3 p.m. and additional information can be found at www.annmariegarden.org. 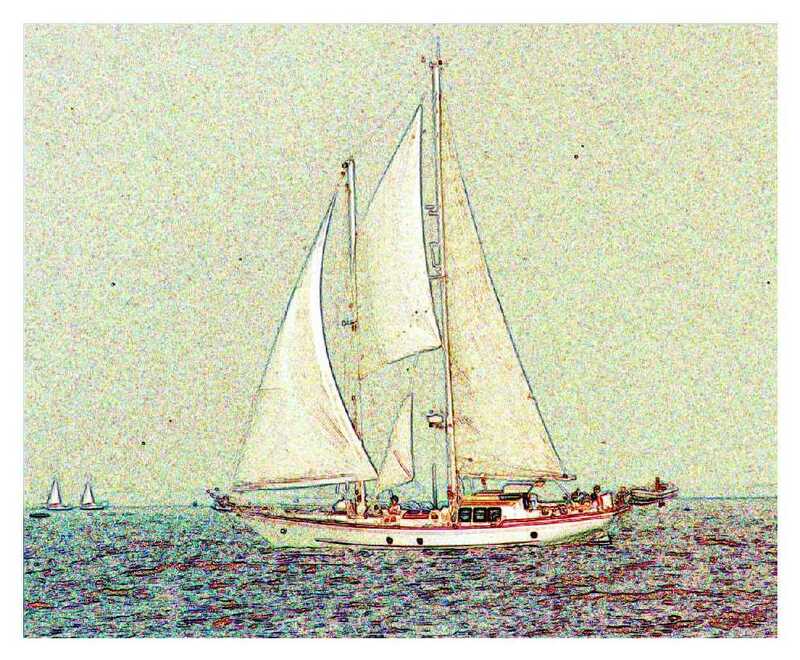 You are currently browsing the Schooner Heron Charters blog archives for March, 2010.